The official movie trailer for The Hunger Games debuted today on Good Morning America, and apparently has fans--who've been waiting for the best-selling science fiction novel to be adapted to a movie--going nuts. This is latest snippet of what we've received from the otherwise tightly guarded production; the last time was the exclusive sneak peek that aired in August during the MTV Video Music Awards. I've never read the book and am not usually a fan of these kinds of stories, but I've been keeping up with the developments in The Hunger Games movie because a large portion of it was filmed throughout North Carolina, including Charlotte and Concord. And it's the reason stars Jennifer Lawrence, Woody Harrelson, Lenny Kravitz, and others were spotted around the city all summer. I don't recognize Charlotte in the trailer, which could be because the clip only shows limited footage from scenes in the first half of the movie, according to Lionsgate. 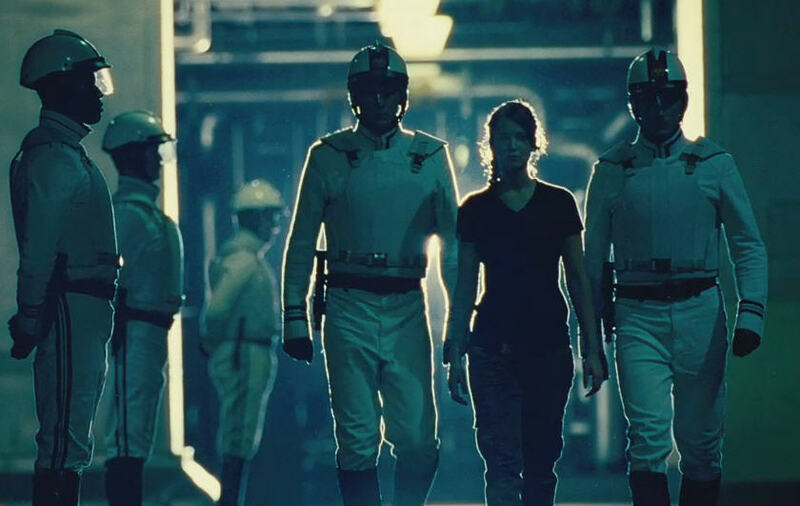 Charlotte was rumored to be the setting for the Capitol scenes, a city in the fictional country of Panem in the story. You can watch the trailer for The Hunger Games below or on iTunes. The promo includes the hashtag #HeadForTheSquare. This is one of the few YA movie adaptations I have been excited about. It seems to be getting a relatively gritty treatment, which is always appreciated when looking at competing franchises like 'Twilight'. Will be interesting to see how much CGI transforms Charlotte in the Capitol shots. I don't go for the movie version of books usually, but I am excited about this one. The books are very much worth reading and I hope the movie doesn't disappoint.